Argentina is a land which blends spectacular vistas, rich culture and delectable cuisine to create an extraordinary adventure. This is a beautiful country that spreads across an incredibly diverse landscape, from the snowy peaks of the Andes and fertile plains of Patagonia, to the verdant basins of tropical rainforest and miles of rustic urban sprawl. Chile is a destination that continues to surprise and amaze; a country that almost defies geographical logic, there’s barely a climate or landscape you won’t find here – arid deserts, icy glaciers, volcanic landscapes and cosmopolitan cities are just a few. Santiago de Chile is the capital, and there is just so much to see here; ancient architecture, glorious landscapes, bohemian art and ultramodern high-rise buildings make up this amazing cityscape. We think that this 11-day escorted tour is an absolutely incredible adventure for anyone that loves exploring; you’ll venture numerous national parks, vibrant cities and unforgettable landscapes as you immerse in the rich culture these nations have to offer. 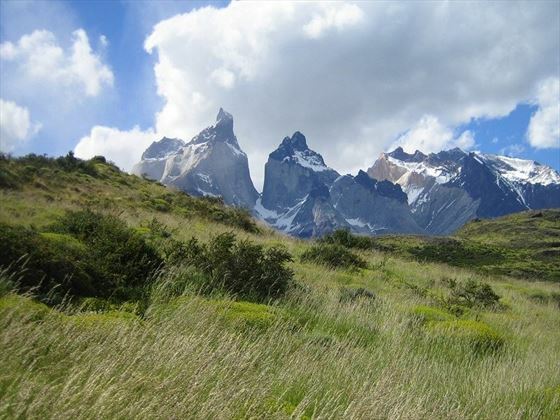 From Buenos Aires’ vibrant tango scene and delectable steakhouses, to the breath-taking colonies of penguins and wildlife found on Martillo Island, and the magnificent mountain peaks, glittering waterfalls and pristine glaciers found in Torres Del Paine; this holiday really does explore the finest sights of these two magnificent countries. 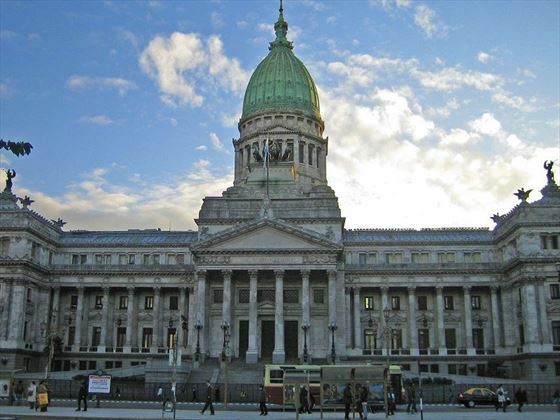 Upon arrival in Buenos Aires, you’ll transfer from the airport to your hotel for check-in. In the evening, you’ll be taken to the Tango House La Ventana, a must when visiting this vibrant city. Tango is a tradition that started here at the end of the previous century, and La Ventana is one of the most authentic Tango Houses in the city, set in the heart of Buenos Aires’ tango scene. During this excursion, you can opt for a tango lesson with professional teachers, or for a wine tasting session. Afterwards, you will enjoy a three-course dinner and a tango show before returning to your hotel at around midnight. Three-course dinner and half a bottle of wine or two beers per person is included. Today will be spent exploring the highlights of Buenos Aires. 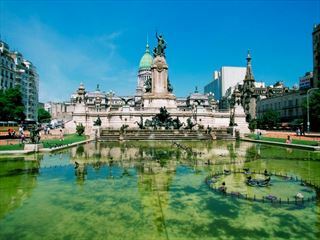 You’ll take a 5 hour city tour, starting around the historic Plaza De Mayo, continuing to the Metropolitan Museum where Pope Francisco used to celebrate religious services, and you’ll then take a break at the famous Café Tortoni to enjoy a coffee and a snack. Your next stop will be La Boca, the city’s most colourful area, and then onto the glamorous Recoleta area, featuring a beautiful selection of boutique shops and ambient restaurants, in addition to the impressive Recoleta cemetery. Your afternoon can be spent at leisure, with the option to enjoy an Argentina Culinary Experience, which should take around three and a half hours. This tour is designed to give you an introduction into the tastes and cooking styles of the finest Argentinian cuisine; (Vegetarian, pescetarian and celiac options are available on request). Today you will transfer to the airport for a flight to Ushuaia, and upon arrival you will transfer to your hotel. 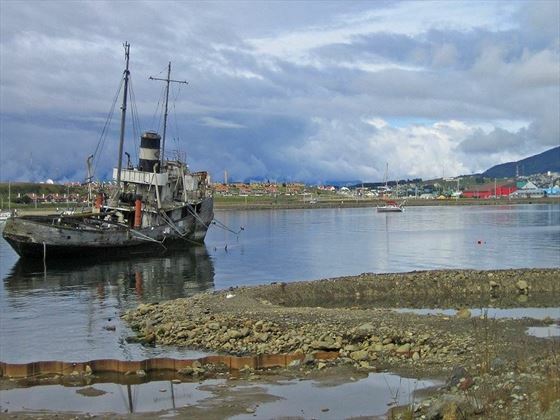 On your way to the hotel, you will enjoy a short city orientation tour with a photo stop at one of Ushuaia’s most beautiful spots. This morning will begin with a half-day tour of the Tierra del Fuego National Park, where you will drive through the park to enjoy the landscapes and have a little walk. In the afternoon, you’ll head to Estancia Harberton where you will take a look around the farm, learn about its origins and witness the estancia, the oldest building on the island. 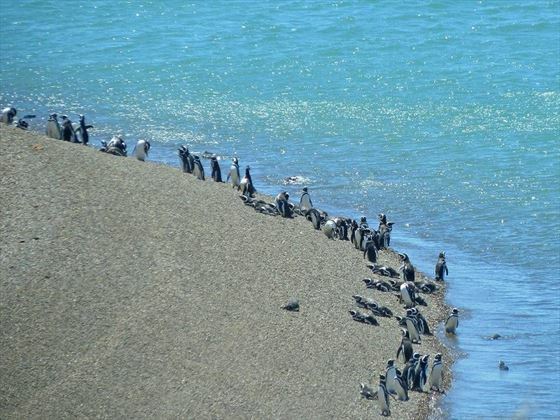 Later on, you will take a 15-minute boat trip over to Martillo Island, where you will have the incredible opportunity to watch colonies of Magellan and Gentoo penguins as you wander around next to them. Return back to Estancia Harberton, spend some time at leisure and then make the journey back to Ushuaia City, taking around two hours. 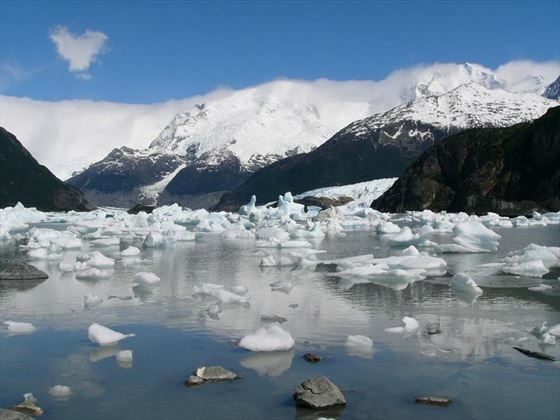 Transfer to the airport and catch a flight to El Calafate. On arrival, you’ll be picked up by a local guide for a transfer to your hotel. Today entails a full-day tour to the Perito Moreno Glacier. After a drive through the National Park Los Glaciares, you’ll drive through a beautiful forest before reaching this stunning, rare glacier. One of the few glaciers that are still growing, Perito Moreno experiences a magnificent phenomenon where every day, huge ice blocks fall into the lake due to the pressure of the water, crashing with a significant noise. 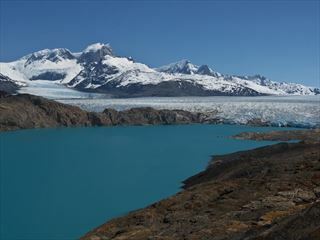 You’ll spend two hours admiring the area before heading back to Calafate. In the morning, you will transfer to the bus terminal, from where you will travel on the public bus to Puerto Natales. On arrival, you’ll be picked up and transferred to your hotel. After enjoying breakfast, drive to the Torres Del Paine National Park, where you will be able to experience the most spectacular worldwide reserve at the end of the world. In this protected area, you will discover a blend of pristine lakes, lagoons, waterfalls, glaciers, hills and mountain peaks. Inside the area, the road is adorned by dozens of lagoons which blend into hills and snow-topped mountains. You’ll explore the Milodon Cave and Salto Grande Waterfall, among other things. In the late afternoon, drive back to your hotel. Today starts with an early morning transfer to the bus terminal in Puerto Natales, and then transfer by public bus, taking around 4 hours to Punta Arenas. 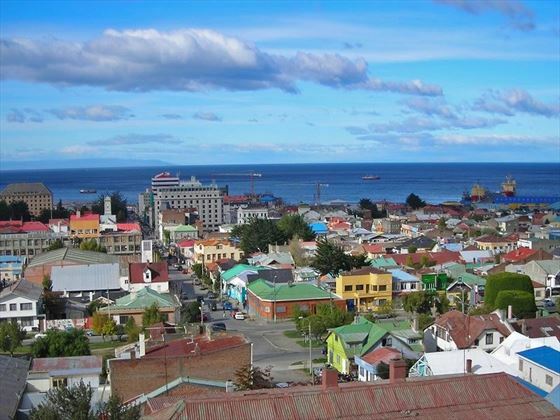 Afterwards, continue to Punta Arenas airport for your flight to Santiago de Chile (not included). Upon arrival, you’ll be picked up and transferred to your hotel for check-in. A city of contrasts with traces of its colonial past infused into ultramodern, high-rise architecture of the financial centre; Santiago, Chile’s capital, is full of surprises. 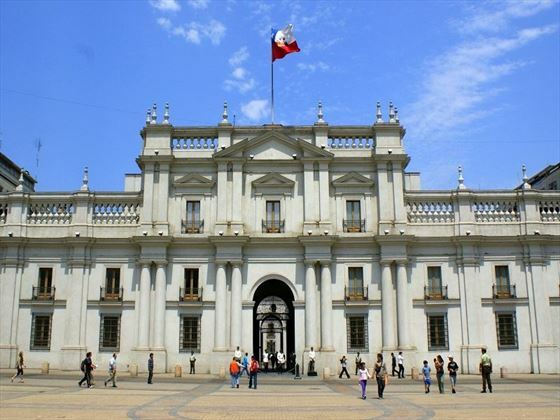 You’ll take an immersive half-day tour of the city today, starting in the bustling downtown area and heading along the famous Alameda, Santiago’s colourful main avenue, where you will see the San Francisco Church, Santa Lucia Hill and the Chilean University. 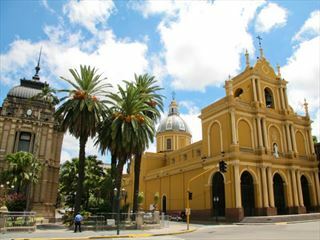 You’ll then continue to Plaza de Armas and the Cathedral, and wander down the Central Market. Next, you’ll cross the Mapocho River to reach the bohemian Bellavista District on the way to San Cristobal Hill, where you will witness the finest views of Santiago and the Andes Mountains. To round off your tour, you’ll pass through the city’s residential areas on your way back to the hotel. The rest of your day can be spent at leisure, or you can opt for a wine pairing tour at Vinolia, taking around three hours. ‘The Wine Adventure’ immerses you into a world of fine wines, fascinating panoramic virtual flights, a sensory exploration room, and a tasting of five superior-quality wines partnered with a divine selection of cheeses and dried fruits.